ANDREW Robertson’s first goal for Scotland on Tuesday night completed a remarkable rise from the bottom tier of the Scottish League in just over 18 months. Scotland’s disappointing display against England saw a battle lost but certainly not pride. The hard work had been done in a 1-0 victory against the Republic of Ireland but it was Robertson, a boy who impressed in both fixtures that equates to the possibility of a new breed of Scottish footballer emerging. This new breed is potentially one that does not consume alcohol or even stay in their comfort zone. Whenever or not, it is the magnitude of Scottish Football’s laughs of its talents including Jimmy Johnstone and Barry Ferguson both having gone too far, things do appear to be getting a touch more serious. News did emerge today that Scottish footballers are actively seeing a fall in the number of minutes on the pitch but the attitude is certainly beginning to change. For Robertson and his fellow prodigy, Ryan Gauld, these are players who have almost surpassed previous emerging young Scottish footballers in their growth and attitude terms. In weird contrast to the emergence of the last decade when James McFadden was described as a ‘cheeky boy’ and Derek Riordan never afraid to stray away from the Edinburgh night scene, it might be too extravagant to focus on these aspects but never the less it seems a change. 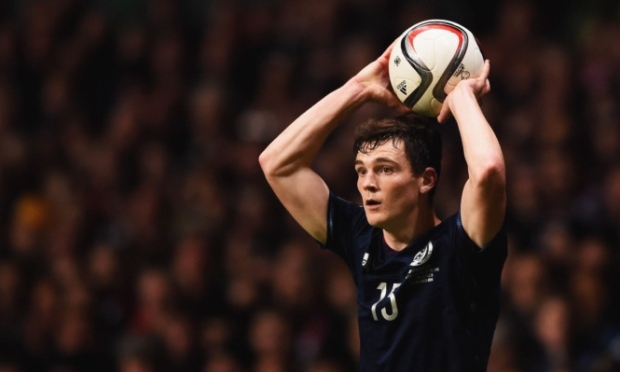 Robertson was playing part-time football for Queen’s Park in the Scottish Third Division last year. He planned to study as an undergraduate if a career in full-time football would not work out. His freedom of structure gave him a platform resulting in a place in the Hull City Premier League team and 3 Scotland caps, not to mention a national award and a cup final appearance. Robertson is actively a throwback of a boy from the Scottish classic, Gregory’s Girl in his enthusiasm for the game and in his Scottish tenacity and determination blended with World-class ambition. The speed at which he has progressed is particularly astonishing but he is also the way to go for lower-league footballers. He actively overturned a rejection from Celtic for being too small, a common British footballing reason for rejection into an inspiring story that gives enthusiasm and determination in both a good light. Robertson, Macleod, Hanley and co will hardly remember the 1990’s when Scotland were regularly qualifying for tournaments but they will certainly remember the days when they were watching on television, a Berti Vogts outfit that were regularly drawing with the likes of the Faroe Islands and Moldova and were destroyed by the Netherlands and Wales. Failure has been a gateway for the players in question to make their mark. They have grown in a rebuilding of the Scottish youth structure and witnessed the past man-management errors shaped in the reigns of George Burley and Craig Levein where spirit and community were shattered beyond belief. As it stands, Scotland’s squad outlook is albeit similar to roughly 20 years ago. During this period when Scotland’s talent drain was starting to appear, there was knowledge that Scotland were seen as competent side but not nearly good enough, a belief that went back to the 1978 World Cup debacle and the 1-0 Costa Rica defeat of 1990. In around 1995, star hero, Ally McCoist had just come back from a two-year injury absence just like goalkeeper, Craig Gordon. Scotland’s strikers, Steven Fletcher and Steven Naismith have both similar to John Spencer and Kevin Gallacher in the run up to Euro 96 that both had been moderately successful at English Premier League level. The team similarity between now and 1994 is the determination particularly in Gordon’s comeback and Shaun Maloney’s linchpin as a star in the side staving off his earlier mid-20’s crisis. Determination back then came in the form of a recovery from a 5-0 defeat against Portugal in 1993 but older players being given opportunities such as Duncan Shearer and John McGinlay and a squad which based the emphasis on brute strength in the form of Colin Hendry and Gary McAllister. Gordon Strachan’s squad is overall much younger. Looking ahead, Scotland would be looking for other young players to broaden their case on the march ahead. Much could depend on the fortunes of Rangers and Hearts for Lewis Macleod and Callum Paterson respectively depending on whenever they gain promotion. Behind Fletcher and Naismith, Scotland are once again looking a little light up front so there will be emphasis on the form of Steven May and even Anthony Watt in Belgium, the second player with Ryan Gauld to transfer to a European league this summer. Others including Ryan Christie and Ryan Jack are hugely impressing at club level, the former consistently linked with big moves to England but eager to make sure there will be a sanity for first-team football. For Robertson and his generation, things are looking bright but there will be a system of focus.